Can’t decide between a beach, an adventure, or a volcano vacation? Why not visit Costa Rica, where you don’t have to choose! We’ll tell you how to cover Costa Rica’s three most famous areas (Manuel Antonio National Park, Monteverde Cloud Forest, and Arenal Volcano) in just nine days. Take an early flight into San Jose International Airport, and then rent a car. From here, it’s only about a two-and-a-half-hour drive to Manuel Antonio. Manuel Antonio National Park is a wild landscape, with beautiful beaches framed by wild jungles that teem with monkeys, sloths, coatis, and geckos. It’s paradise for beach bums, birdwatchers, families, and hikers. High hilltops offer incredible views of the blue Pacific, and the panoramas from up high make it easy to see why Manuel Antonio is one of Costa Rica’s most popular national parks. Costa Rica is also known for its adventure activities, and Manuel Antonio is a great place to check a few off your list. 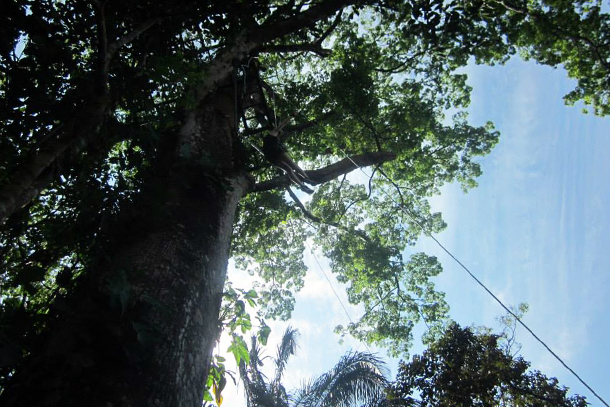 The park is home to the country’s longest zip line, found on the El Santuario Canopy Adventure Tour. El Santuario has 11 zip lines set about 300 feet above the jungle canopy, including one that’s almost a mile long. Don’t be too scared to take in the views—your bravery will pay off, as from this height, you’ll get to see some amazing birds and wildlife that you may miss on the ground. On your next day in Manuel Antonio, experience the area from the ground instead of the sky—down the river, on a white-water-rafting trip on the Chorro River. During the dry season (December through May), the Chorro River can offer challenging Class IV and V rafting. On a Quepoa Expeditions trip in February, we experienced long stretches of tame water, broken up by one or two minutes of heart-pumping rapids—which turned out to be OK, as the views along the river were gorgeous enough to be entertaining on their own. And if conditions permit, you can hop out of the raft and go for a refreshing swim in the river. 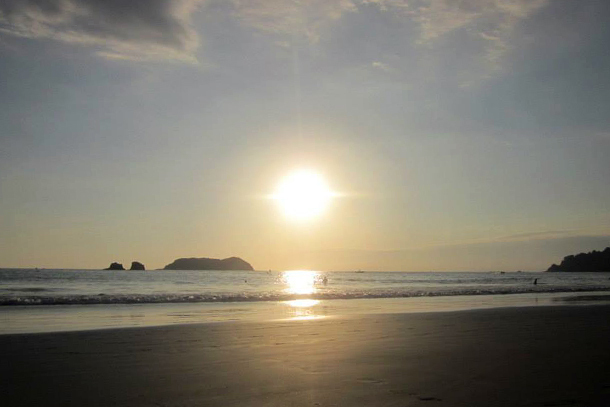 Don’t forget to leave time to explore the beautiful beaches of Manuel Antonio! 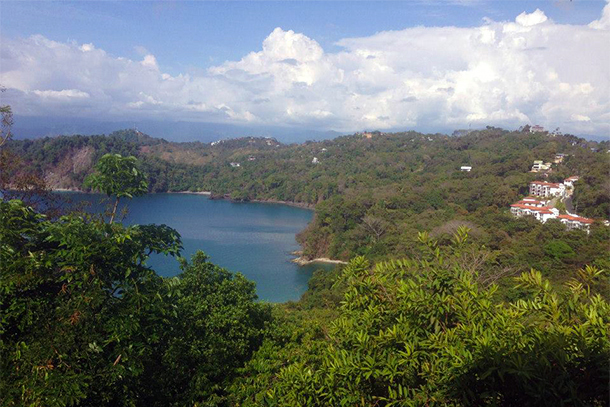 Venture out to Playa Manuel Antonio to snorkel the coral reefs and underwater volcanic rocks. You’ll see colorful fish and maybe even a sea turtle or two. After three days in Manuel Antonio, it’s time to head to the Monteverde Cloud Forest Biological Reserve, which is approximately a four-hour drive away. Pack warmer layers for this portion of the trip, as the temperature in Monteverde can drop drastically from that in tropical Manuel Antonio. The cloud forest is often misty, cool, windy, and (obviously) cloudy, but the decidedly not-tropical weather yields its fair share of treasures—as long as you wear the appropriate clothing to enjoy it. 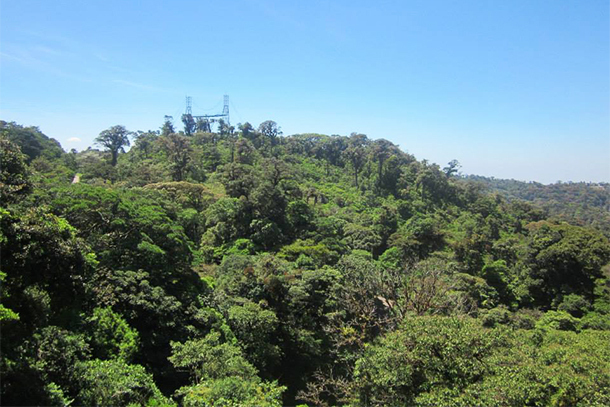 One of the best ways to see the cloud forest is with a canopy tour from Costa Rica Sky Adventures. The company offers different options for viewing the forest, from cable cars to hanging bridges to zip lines. If you already experienced the zip lines in Manuel Antonio, we suggest skipping them here; while these ones reach speeds of up to 40 miles per hour, they might feel a little boring after the world’s longest zip line in Manuel Antonio! If you want to explore Monteverde at ground level, there are plenty of well-maintained, self-guided hiking trails to tackle. 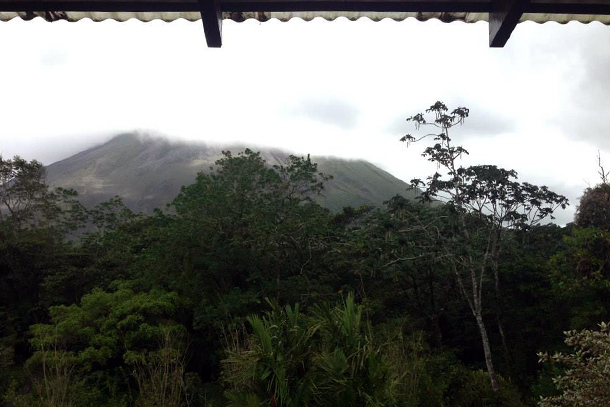 After two days in Monteverde, you can drive to Arenal, which is around three hours away. Arenal Volcano towers above the town named after it, framing every picture and dominating every view. But people had no idea that this was anything but a garden-variety mountain until 1968, when the long-dormant volcano erupted violently, wiping out three small villages. The volcano is still active today—you can even see smoke and lava erupting from it on certain days. Today, the volcano’s power is used to feed natural hot springs. There are numerous hot-springs options around Arenal, and visiting them can be a day’s activity. Soak in the thermal pools set in the rainforest at the Tabacon Grand Spa Thermal Resort; buy a day pass if the hotel rates are too pricey. Within the Arenal Volcano National Park, there are many hiking trails on which you can see waterfalls, lush flora and fauna, and, of course, views of the volcano. 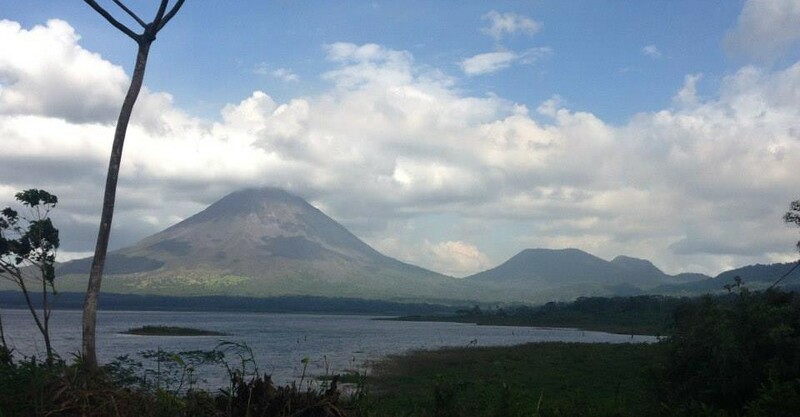 On another day, you might opt to take a bike ride around Lake Arenal, a crystal-clear lake at the base of the volcano. On your ninth day, drive from Costa Rica to San Jose, where you can return your rental car and catch a flight. Prepare to look with pity upon the people who only experienced a beach or forest on their vacation, while you were conquering a volcano, a cloud forest, and a beach! When renting a car, be aware that it is mandatory to buy auto insurance, which is run by a government monopoly. The final cost of insurance can often double your quoted rental price. Most agencies will not quote you the total price with taxes and insurance included, especially if you book online. Although the San Jose International Airport is closer to the three areas listed in this story, you can often save money by flying into Liberia International Airport. Just be aware that your driving times will be longer. Food and drinks prices in Manuel Antonio, Monteverde, and Arenal are fairly high, especially for Latin America. However, once you’re outside of the tourist towns, roadside restaurants (known as “sodas”) are extremely cheap and offer more authentic food. Fruit stands along all the major highways will offer fresh fruit for bargain prices. Have a question for Caroline about her trip to Costa Rica? Planning a trip yourself and need advice? Want to share your own Costa Rica experience? Leave a comment below! You can also follow Caroline on Google+.